Montreal-based digital manufacturing startup Vention announced the close of a $17 million CAD Series A round today, led by Bain Capital Ventures. 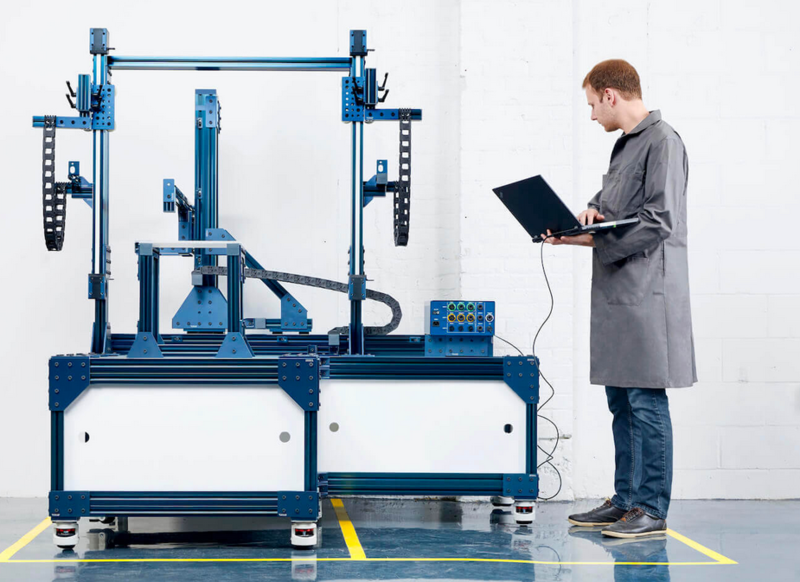 Vention says its modular system can complete most custom manufacturing workflows in three days. The company provides a digital platform for machine design that lets engineers design, order, and assemble custom factory equipment quickly. Tradition workflows for custom equipment manufacturing might range from one to six months, but Vention says its modular system can complete the same job in three days, which includes next-day North American shipping. Vention says it will use the newfound funding to accelerate the development of its MachineBuilder 3D software, and expand its modular hardware library. The announcement comes as the company has just put the finishing touches on the second major release of its platform, which adds 200 new modular components for a range of factory equipment and new collaboration tools. Vention says it has also added a machine learning algorithm that can predict the next part needed in a specific design. Founded in 2016, Vention says it is the only combined software and hardware platform certified by Universal Robotics, and counts Thomson Industries, Interroll, and PolyAlto as partners. Welcome to startup interview #27. In our opening scene, the curtain lifts on a startup conference room. There’s a big monitor on the wall….